WASHINGTON (June 19, 2018) –- (RealEstateRama) — The Urban Land Institute (ULI) Terwilliger Center for Housinghas announced the finalists for this year’s Jack Kemp Excellence in Affordable and Workforce Housing Award, which honors exemplary developments that ensure housing affordability for people with a range of incomes. The award recognizes efforts by the development community to increase the supply of housing that is affordable to households earning less than 120 percent of the area median income (AMI). Developments competing for the Kemp Award may be fully affordable, with all units designated for low-to-moderate income residents; or they may contain a mix of affordable units and market-rate units. The winner will be announced during ULI’s 2018 Fall Meeting, set for October 8-11 in Boston. Alvista, Jamaica, New York: Alvista is a 25-story, 380-unit mixed-income, multi-family, new construction development located in the transit-oriented, retail hub of the downtown Jamaica neighborhood in Queens. The project is financed under the New York City Housing Development Corporation’s Mixed Income: M2 (Mixed-Middle) Program, a contender for this year’s Larson award. Aspen Skiing Company Workforce Housing, Aspen, Colorado: This development repurposed a 40-year old RV campground located on a major transit corridor into a 120-bed workforce housing community of small, high-quality, factory-built trailer coaches. These popular rental units are hyper-efficient, reconfigurable and fit the needs of various tenant types. Avenue Place/Avenue Terrace, Houston, Texas: Avenue Place/Avenue Terrace is in the heart of Near Northside, a dense, tightly-knit largely Hispanic community. Avenue Place/Avenue Terrace preserves affordability and strengthens the neighborhood by converting 20 acres of industrial wasteland into a thriving community of mixed income, sustainable, quality housing with linkage to public transportation and accessible green space. Caesura, Brooklyn, New York: Caesura, at the nexus of the Downtown Brooklyn Cultural District, consists of 123 units of mixed income housing, comprised of micro-units and conventional apartments. The building also includes 24,600 square feet of cultural space and will soon include dining. Clybourn 1200, Chicago, Illinois: Clybourn 1200 is a mixed-income, mixed-use community in the former Cabrini-Green public housing development. Developed with the intent of long-term sustainability and forward-thinking design, Clybourn 1200 offers both market rate and affordable living accommodations with numerous amenities. Greenwich Park Apartments, Milwaukee, Wisconsin: Greenwich Park Apartments is a high-quality, mixed-income development that combines 14 supportive apartments for very low-income households; 22 affordable apartments for people earning at or below 60 percent of area median income (AMI); and 17 market rate apartments. Located next to Columbia St. Mary’s Hospital, Greenwich Park provides low-income residents access to services that might otherwise be difficult to obtain, while also offering market rate housing near businesses in the area. Harbor Place, Haverhill, Massachusetts: Harbor Place Residences has transformed vacant, underutilized waterfront parcels into a development that provides workforce housing opportunities in a mixed-income, mixed-use environment. It has also reinvigorated downtown Haverhill and the City’s riverfront area. Keauhou Lane, Honolulu, Hawaii: Keauhou Lane is a mixed-use, transit-oriented development that adds much needed housing in urban Honolulu. It has 209 units of affordable housing and more than 30,000 square feet of retail, grocery and restaurant space. Approximately 25 percent of the site is dedicated to public open space that connects directly to the City’s new light rail Civic Center station. Lakeside, San Leandro, California: Lakeside provides 840 high-quality, affordable apartments across two campuses on the eastern shore of the San Francisco Bay. The 48-building development includes three pools, a clubhouse and daycare facilities, and offers wellness classes, adult education, career counseling and a community garden. Metro Green Terrace, Stamford, Connecticut: Metro Green Terrace is the third phase of a 231-unit mixed-income development completed over the past 10 years. The development consists of 131 apartment units located in a Smart Growth neighborhood, one block from the Stamford Train Station and within walking distance of the downtown business district with entertainment and shopping. The Conway Center, Washington D.C.: The Conway Center is a $90 million development by So Others Might Eat (SOME), an interfaith, community-based non-profit organization that assists low-income people in the District of Columbia. SOME developed 202 units of affordable rental housing as part of a mixed-use project in an underserved part of the city. The Residences at Government Center, Fairfax, Virginia: The Residences at the Government Center is a workforce housing development created through a public-private partnership. The 1,500-unit development includes a fitness facility, children’s play area, conference room, club room, business center, pool and a barbeque area. Vivo, Cambridge, Massachusetts: Vivo Apartment Homes is the first residential building in the new science park of Cambridge’s Kendall Square. It is within walking distance to the Massachusetts Institute of Technology and is close to public transit. It was constructed using prefabricated components designed for easy onsite assembly. ULI established the Jack Kemp Excellence in Affordable and Workforce Housing Award in 2008, naming the award in memory of Jack Kemp, former secretary of the U.S. Department of Housing and Urban Development and a Terwilliger Center national advisory board member. The award is given annually to affordable and workforce housing developments that represent outstanding achievements in several areas, including affordability, innovative financing and building technologies, proximity to employment centers and transportation hubs, quality of design, involvement of public/private partnerships, and replicability of the development, among other criteria. 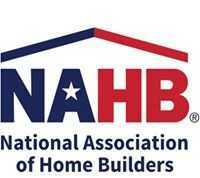 The finalists were selected by a jury of nationally renowned housing experts who judged submissions according to each project’s ability to meet affordable and workforce housing needs in their communities. In addition to Terwilliger, this year’s Jack Kemp Award jury members are George Casey, president and chief executive officer, Stockbridge Associates; Alan George, executive vice president and chief investment officer, Equity Residential; Nina Janopaul, president and chief executive officer, Arlington Partnership for Affordable Housing; Gadi Kaufmann, managing director and chief executive officer, RCLCO; Dara Kovel, president of development, Beacon Communities; Linda Mandolini, president, Eden Housing; Michael Pitchford, president and chief executive officer, Community Preservation and Development Corporation; and Margaret Wylde, chief executive officer, Pro Matura Group. NOTE TO REPORTERS AND EDITORS: Courtesy images of the Jack Kemp Excellence in Affordable and Workforce Housing Award finalists are provided by ULI for use by members of the press upon request. More details on the Kemp Award and previous winners are available here. The Urban Land Institute is a nonprofit education and research institute supported by its members. Its mission is to provide leadership in the responsible use of land and in creating and sustaining thriving communities worldwide. Established in 1936, the institute has more than 40,000 members worldwide representing all aspects of land use and development disciplines. 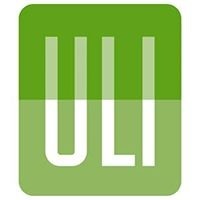 For more information, visit uli.org or follow us on Twitter, Facebook, LinkedIn, andInstagram.